Hello everyone, welcome to my Styling The Seasons - May post. 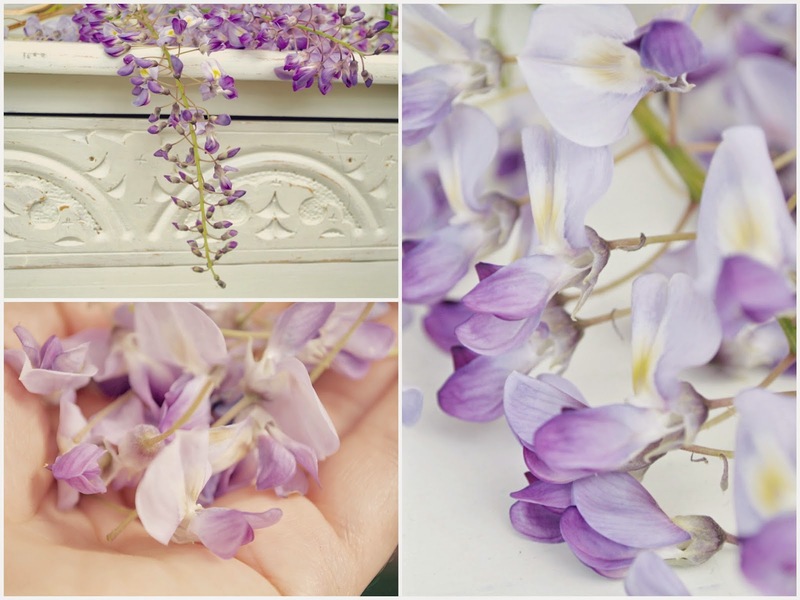 For me, May is all about the wisteria that rambles along an old wall and over the pergola at the bottom of our cottage garden. 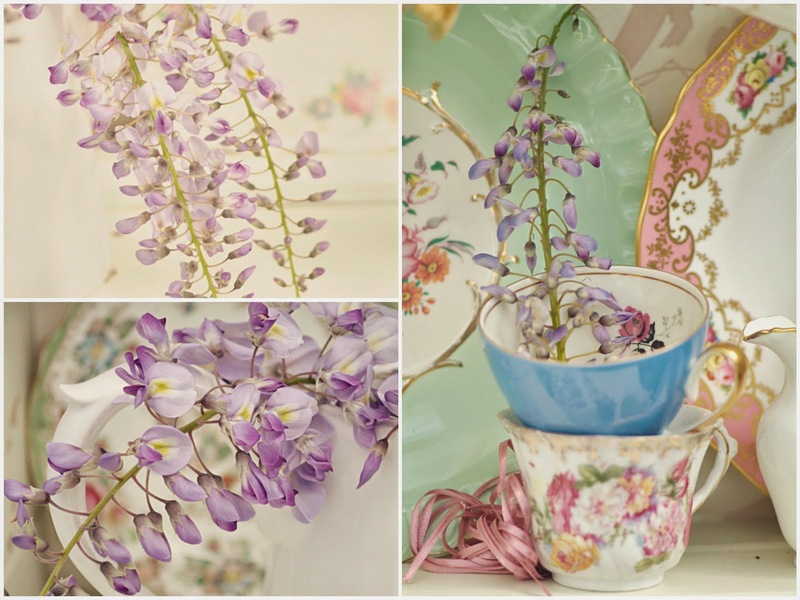 The smell of wisteria is simply heaven! 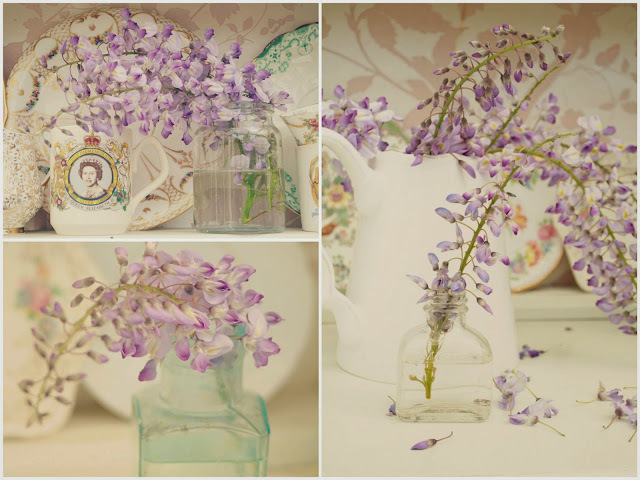 And the blooms are so beautiful dripping down, I couldn't resist bringing some into my home to arrange in pretty jugs and jars. 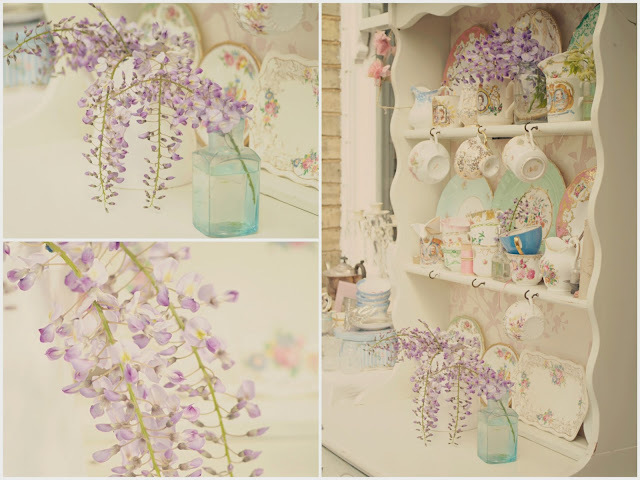 This month I've styled my vintage dresser that sits in the garden room. I love the pastel shades of lilac and blue against the chalky white painted furniture, and it sits so pretty with my collection of vintage china. I simply adore the month of May! The peonies are in full bud, as are the roses, and the whole garden is about to burst into life! My favourite kind of styling is done with garden flowers so I shall be in my element for the next five months! Its great fun and really brings out the inner stylist from everyone. Aw thats so sad, hopefully it will do it next year!